LF projects use Nexus Repository Manager 2 to store Maven and Java based artifacts. It helps organizing dependencies and releases. Users do not need to login using their LFID credentials. LF admin teams and LFRE engeneers should login to access the administator options. Other users can browse the repositories and proxies anonymously. Nexus 2 communicates with Jenkins server which is the interface used to make the artifacts publications on a scheduled or by demand basis (depending on the Jenkins JJB configuration for the particuar job). 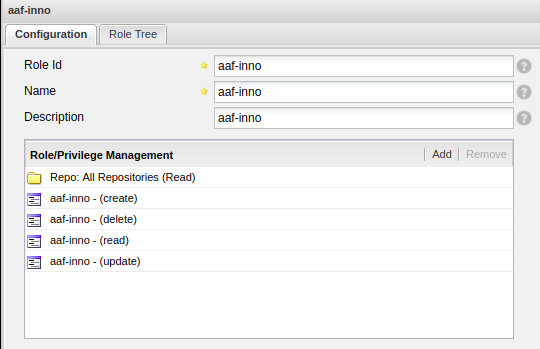 Nexus 2 allows users to manage different types of repositories. To learn more about how to manage them, please refer to Sonatype’s official documentation. (hosted) Official repository for released artifacts. Releases repositories have a Disable re-deployment policy to avoid overwriting released versions. (hosted) Used to publish Maven SNAPSHOT builds. In the project’s pom.xml these versions have a -SNAPSHOT suffix. (group) A meta-url containing all release repos in a combined view. (group) A meta-url containing all staging repos in a combined view. Beware: oldest staging repo artifacts take precedence in cases where 2 staging repos contain the same version artifact. Repositories that proxy artifacts from an upstream repository. 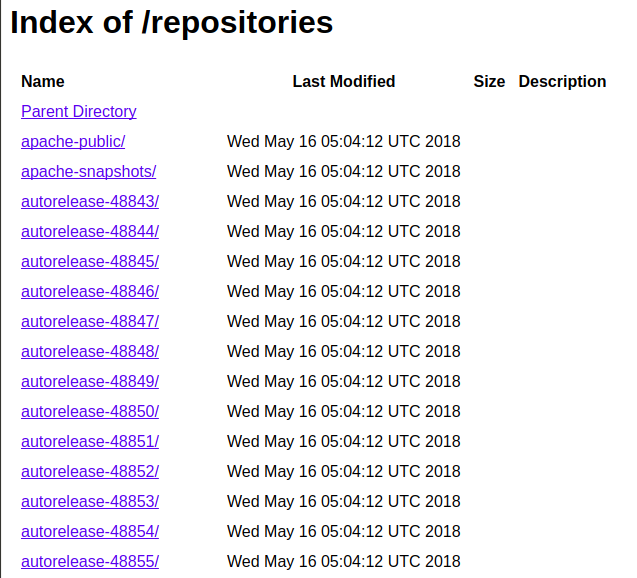 Each repository is accessible via URL https://nexus.example.org/content/repositories/<repo name> . For continuous integration builds, Jenkins has one settings file for each Gerrit repository. Each settings file contains an entry for each accessible Nexus2 repository (ServerId). 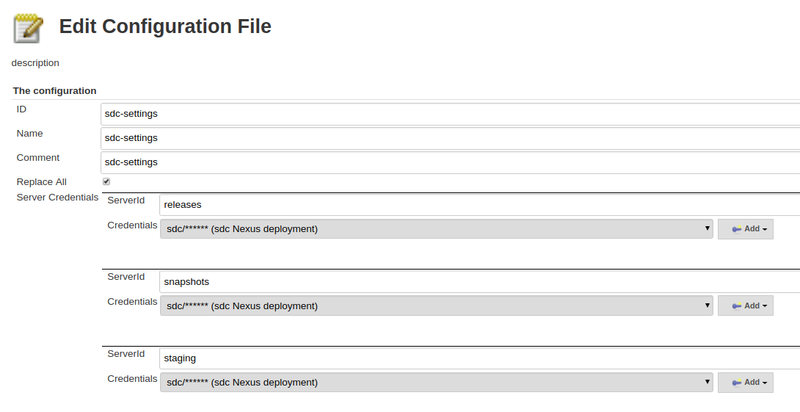 More information on access configuration for each Gerrit repository in Create Nexus2 repos with lftools. Users, roles and privileges are key to manage and restrict access into Nexus repositories. Anonymous users have read permissions, while administration teams and CI accounts have write and delete permissions. Sonatype’s documentation on creating users, roles and privileges found in: https://help.sonatype.com/repomanager2/configuration/managing-users/, and https://help.sonatype.com/repomanager2/configuration/managing-roles/. For LF projects, a user per Gerrit repository exists matching the repository name. Where “<project-name>” matches the Gerrit name of the repository. Which groups the privileges mentioned above. To deploy into the Snapshots and Releases repositories. Deployer (autorelease) For projects using the Staging Profile to create autoreleases. 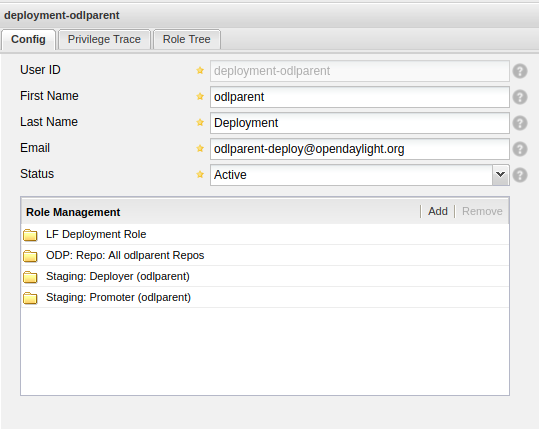 More information on users, roles and privileges configuration using lftools along with the repos in Create Nexus2 repos with lftools.